As a marketing ‘generalist’, it is my job to understand the ins and outs of all marketing channels. I don’t pretend to be an expert at all of them, or even some of them. But I make it my job to keep up with new tactics and new channels. It is my belief that this enables me to offer my clients something unique – a well rounded marketing plan that is customized to their business goals and objectives. Ok – the point of this post. I have been developing email marketing campaigns for quite a few years now, and have been an avid social media fanatic, well, since social media was ‘born’. I have been pushing my clients to understand the need to develop a marketing strategy that incorporates social media, that isn’t JUST social media. And a great place to start is by linking their email marketing campaigns with social media. It is a no-brainer to me. Such a simple, yet highly effective place to start. And it looks like other marketers are starting to realize this too. In a survey published by Econsultancy and Adestra, 37% of e-mail marketers said they already encourage people to share content on social networks, and another 31% said they are planning to. 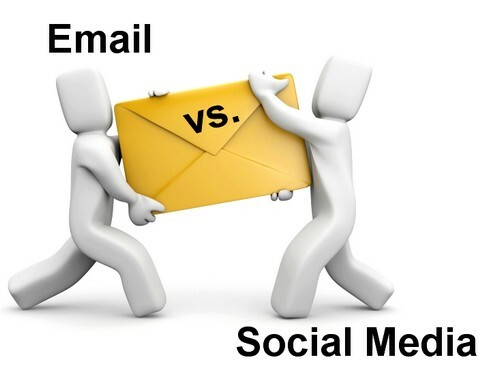 Multiply the sharing opportunities by linking e-mail messaging with social media messaging. Provide a broader platform for brand advocates; encourage the best customers to share with friends via social media. Shift the control to the consumer by providing multiple avenues to interact with a company. Use e-mail metrics such as response rate and conversions to enhance social ROI. Previous Post Who is SocialSonya?